Get your gear ready for the first day of trout season. Check out some of Orvis’ deals. One of the reasons I chose to apply for The Orvis Company affiliate program is the company’s commitment to protect and preserve our natural resources. You’ll learn more about my recent media trip to Orvis, Manchester, VT, in upcoming posts, but for now, you should know that individuals, organizations, and companies that foster a love and respect for the environment are at the top of my list. Orvis does both. I am certainly not a master fly angler by any means, but after spending so much time wading in streams and rivers in the Northeast, with trout and other fish species swimming beside me, I understand and fully appreciate the great strides conservationists like Orvis have made in their efforts to clean up our waterways and protect them from future contamination. Orvis donates five percent of pre-tax profits every year to protecting nature, supporting communities, and advancing canine health and well-being to the tune of $14 million in more than 25 years. 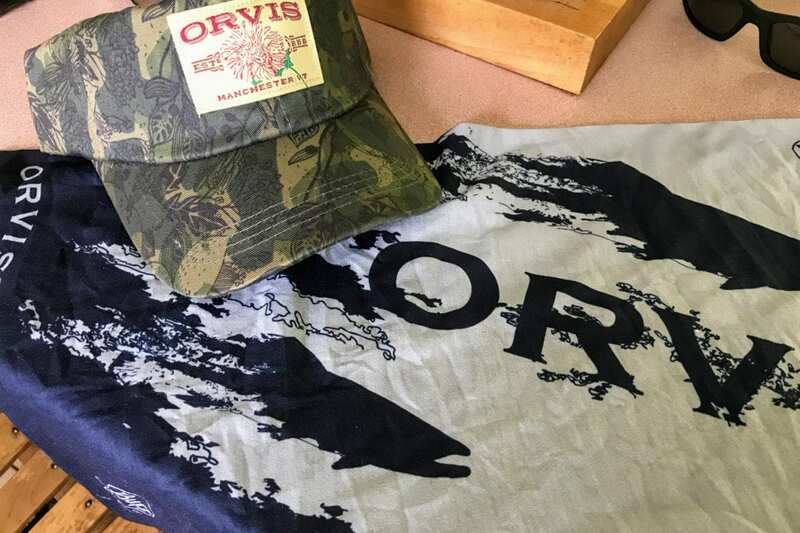 The Orvis Company is not only America’s oldest mail-order outfitter and longest continually-operating fly-fishing business. It’s an international, multi-channel retailer with a wide assortment of products and services ranging from sportswear for men and women, fine gifts and home furnishings, luggage, travel accessories, a wide assortment of pet items, and gear and technical apparel used for wing shooting and sporting clays. Orvis was founded by Charles F. Orvis in Manchester, VT in 1856. In order to appreciate the steps already taken, you need to venture outdoors. Each hour I spend fishing, walking with my dog, Bear; and hiking is 60 or more minutes of free-time from worry or stress. It’s a therapy session for whatever ails me. Four years ago, I participated in my first fly fishing class, sponsored by the Lackawanna Valley Trout Unlimited Chapter and the Pennsylvania Fish and Boat Commission. As time went by, I realized I needed my own equipment to fully appreciate my new hobby. Fly fishing is a sport that takes years to master through continuous trial and error. That means hours and hours on the water and getting comfortable with your equipment. I purchased my first Orvis fly rod and reel combo in 2012 at an Orvis-endorsed retail store, A & G Outfitters, located along the banks of the Lackawanna River in Dickson City, PA. In fact, I visit the store often during peak trout season in Northeastern Pennsylvania. A year later, I thought my youngest son, Yoshi had an interest in fly fishing so I bought an Encounter combo for him. He wasn’t overly enthusiastic about learning to fish, but I believe it’s my duty as a parent to be sure my kids get their share of the outdoors. My husband was the next recipient of an Encounter rod and reel. And yes, occasionally, we fish together. My Orvis rods and reels have served me well. The Clearwater is an ideal rod and reel for everyone from beginners to advanced fly anglers. Orvis’ guarantee is incredible. You can read more about guarantees here. You’re also one step closer to catching a trophy trout, bass or panfish when you fish with the pros. Check out Orvis’ fly fishing and hosted trips. http://www.orvis.com/s/orvis-group-trips/9672?dir_id=22592&group_id=22958&cat_id=14007. Along with the thrill of catching a native brook trout on the fly or whatever your catch will be, take the time to appreciate the efforts of environmental groups that have labored to clean up and preserve our waterways. Do you want to learn more about Orvis’ products and services, which run the gamut from fly fishing to outdoor gear? Follow this link to shop Orvis’ Clearance Room. Waders? Are you petite or tall? Do you have a difficult time finding waders that fit? Check out Orvis’ waders. You’ll find Petite sizes, too.